Rick Dunham shared his remembrances of trips to Lithuania and his increased interest in his ancestry. Rick’s first trip to Lithuania in 1978 was very exciting for a 19-year-old who had only been to Chicago once. He remembers learning about a different culture and a different way of life, along with being afraid of going to the Soviet Union. 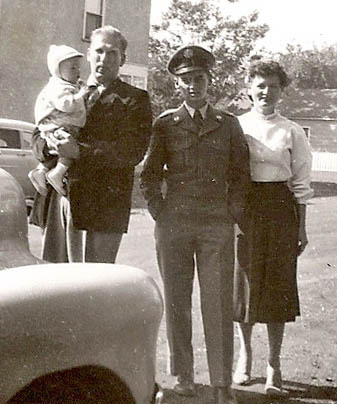 His grandmother’s second husband, Paul Gestautas, a displaced person (DP) from WW II who traveled to Lithuania in 1978 with Rick, had been a Lithuanian nationalist and freedom fighter and was worried that the Soviet authorities still in control of Lithuania might have his name. After fleeing Lithuania in the early 1940s, Paul never again saw his mother, who was forced to stay behind. Even though he courageously applied for a visitor’s visa from the Soviet authorities and got one in 1978, it was one year too late, since his mother had died in 1977. Rick remembers how excited and anxious Paul was the day they departed the U.S., how he got up at 3 a.m. Like many Soviet-era visits to Lithuania, theirs was limited to 5 days in Vilnius or Kaunas, with excursions to the Hill of Crosses in Siauliai and the castle island at Trakai. Visitors who broke this rule were apprehended and interrogated by the authorities for hours. 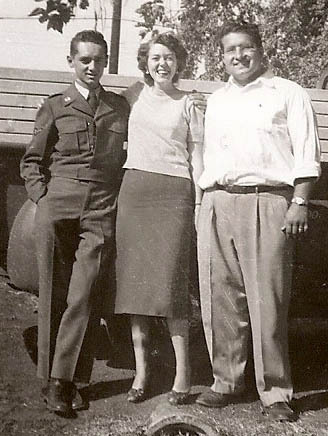 The second time Rick traveled to Lithuania was in 1996, with his step-grandfather Paul and mother Mary Ann. Lithuania had just won its independence from the Soviet Union in 1991, and Soviet troops had only just left in 1993. So Rick felt this trip was very different from the first one — it was even more fun. He also experienced the 1996 trip from an adult perspective and ended up going 6 more times. 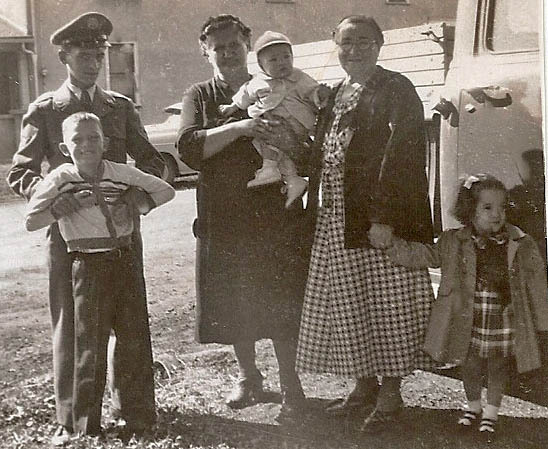 Bobby Pokora holding Bobby Banzin, Margaret (Magdalena) Banzin Kellus holding a Kellus grandbaby, and daughter-in-law Olga Kellus with another of her children on far right. In Lithuania, Rick spent most of his time with the Gestautas relatives and made lifetime friends along with acquiring many memories of food, schools, cultural differences, history, and women, the last of which were both fun and sometimes a little dangerous. He spent a lot of time talking to Lithuanian school kids in Kelme about the U.S and the differences between the two countries. Rick says these experiences changed his life, giving him an interest not only in Lithuania and his ancestry, but in Europe as a whole. He still feels blessed to have been able to travel and see history (He also collects coins from his ancestral countries in Europe. ).